A Utah truck driver has been charged with felony vehicular manslaughter for allegedly causing the death last summer of well-known Hailey philanthropist Dayle Evan Fowler. 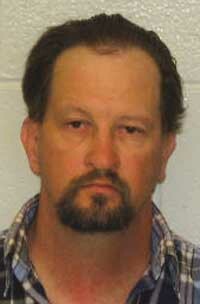 The criminal case against 47-year-old Byrus Lyndon Gatewood, of West Valley, Utah, was filed in Jerome County. The traffic accident that claimed Fowler's life occurred on June 28 in a construction zone on U.S. Highway 93 northeast of Jerome. Fowler, 62, was pronounced dead at the scene of the accident after she was struck by an 18-wheel Volvo tractor-trailer rig driven by Gatewood and owned by Watkins & Shepard Trucking, headquartered in Missoula, Mont. Idaho State Police reported at the time that Fowler, who was northbound, was out of her vehicle waiting in the construction zone when Gatewood, also northbound, failed to stop, hitting her, her vehicle and two other cars stopped on the highway. The case against Gatewood was filed Oct. 26 when an arrest warrant was issued. Gatewood made an initial court appearance in Jerome County Magistrate Court on Friday, was booked into the Jerome County jail and was released after posting $25,000 bond. A preliminary hearing was scheduled for Nov. 17. Additional information on the reason for the felony charge against Gatewood was not available Tuesday from either Idaho State Police or the Jerome County Prosecuting Attorney's Office. ISP Lt. Kevin Haight said he could not release information without permission from Jerome County Prosecuting Attorney John L. Horgan. "I simply can't go outside protocol," Haight said. "You'll have to go to the prosecutor's office." Horgan did not return telephone calls to the Idaho Mountain Express by press deadline Tuesday. Fowler was well known in the Wood River Valley for donating her time and money to numerous nonprofit organizations, including Sawtooth Botanical Garden, the Idaho Jazz Society, Habitat for Humanity, the Animal Shelter of the Wood River Valley, Camp Rainbow Gold, the Lee Pesky Learning Center and the Crisis Hotline.